1. It's a great opportunity to do a hair & makeup test run before the big day. You get to see exactly what you'll look like and make any adjustments so everything looks exactly how you want it to on the actual wedding day. 2. The more time you spend with your photographer beforehand, the better! Bridal sessions and engagement sessions are a great time for you to get to know each other and get comfortable working together. Let's be honest - having your photos taken & getting posed by someone you've only just met can feel a little awkward at first. You don't want that feeling on your wedding day. You want to be completely comfortable & confident in your photographer's ability. 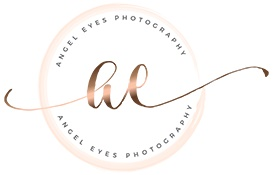 If you've already had one or two sessions before the wedding and had your photographer deliver images that you loved, then you can rest easy on your wedding day in full confidence that they know what they're doing. *bonus tip - bring your maid of honor or a few bridesmaids along for the bridal session ... this will help your photographer & bridal party also get comfortable with each other before the wedding day! 3. This is probably the most important - It's a guaranteed way to get plenty of pictures in your gorgeous gown. Sure, you can get pictures in your dress on your wedding day. However, your wedding day will be like a whirlwind and it goes by so fast. Things can be a little tense and stressful. The bride is asked questions about last minute details from every direction and the schedule tends to run a little tighter than was planned which means the photo time available before the ceremony is tight! One thing you don't want to sacrifice is enough time for pictures of the bride in her dress... that she looks amazing in... and has dreamed of for years... and probably dropped a pretty penny on. A bridal session is a stress-free way to ensure the gorgeous gown you've chosen gets plenty of attention, regardless of the wedding day schedule. ... And who really needs an excuse to dress up and feel beautiful for an extra day? Oh Nicole, I love this!!! ♥ You're stunning!